Brooklyn - Red Hook: Waterfront Barge Museum | Flickr - Photo Sharing! 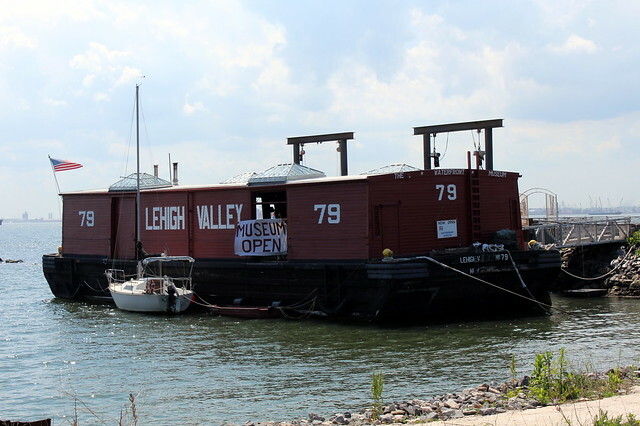 The Waterfront Barge Museum, founded in 1985, is housed aboard the Lehigh Valley Barge #79, which is docked at Pier 44 in Red Hook. In its heyday, the Hudson River Railroad barge, built in 1914, hwas one of thousands of wooden barges carrying cargo around New York Harbor. oday, the Lehigh Valley No. 79 represents the only surviving all-wooden example of the Hudson River Railroad Barge from the Lighterage Age (1860-1960) that remains afloat and accessible to the general public. Nice image and interesting story. This must be among the smallest and more obscure museums in NYC. Love these little places that usually deserve more popularity.